If you run a blog or website, then you know how important it is to have the proper elements of marketing in place in order to reach your audiences and move them to act on your cues. Whether that be signing up for a volunteer program or purchasing a product, the overall goal is rather universal – you want your readers and visitors to subscribe and interact with your brand. In the past, expensive marketing campaigns in the real world were required to achieve this result, but technology has made it much easier in recent years. If you want to boost the effectiveness of your calls to action but do not know where to start, then continue reading to find out about the most effective strategies for any call to action campaign. It seems like a no-brainer, but it is surprising to see how many content creators and businesses fail to understand this concept. 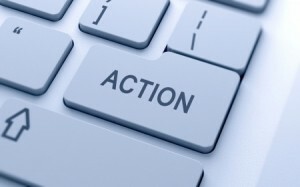 What is the driving point and advantage behind the call to action? What does the person in question gain from their action? If you cannot definitively answer this question, then your call to action campaign is doomed to fail. Some brands offer a free e-book for signing up via email, while others may provide discounts on products and services. When you are pinging search engines with content and calls to action, make sure that the call to action prominently features a tangible benefit for the reader. While you definitely want to convey the intrinsic value that someone can expect from engaging in your call to action campaign, you can use creative writing skills to allude to other potential benefits and possibilities that may occur as a result of their subscription or purchase. You can provide information on how your product is made, behind-the-scenes videos that show your cause in action or a biography of someone affected positively through your call to action. Whatever the instance, piquing the interests of your potential subscribers and customers is a key element in running an effective call to action campaign. Any one call to action campaign will not appeal to everyone – this is why it is so important to create several renditions that can be used to target various audiences. Many brands will use socioeconomic data to help customize this approach, but those without access to large budgets and tons of metrics can still take advantage of this. Younger people, for instance, will be more receptive to coupons and tech-based solutions, while older people may find incentives such as e-books to be more enticing. In addition to this, you can target your calls to action by gender, race, income, education level and much more. Anyone who is pinging search engines will want to use a call to action at some point to enhance their conversions, obtain new customers and broaden their email subscription lists. When you provide value to consumers, promote their interests and tailor calls to action for various audiences, you multiply the likelihood of success. These three tactics are the foundation of a solid call to action and should always be implemented.